Alexandra Morton has proven again that she has her blinders on. Blinders… because she shies at any ideas that do not match her own. Morton is absolutely against salmon farms and has no time or interest in looking at any other avenues for enhancing wild salmon populations. 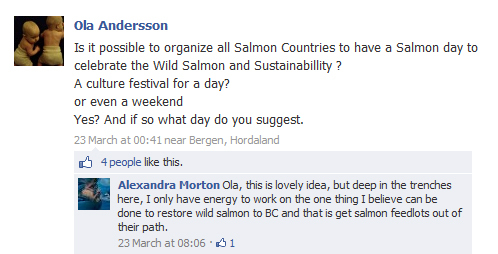 Morton wields a great deal of power over the salmon are sacred group. Her influence and opinion is so powerful that even when her supporters do mention other man-made environmental problems they feel that they have to add fish farms to the list so they can still be in the “in” group. Overfishing, logging, mining, oil; all of these problems are man-made. West coasters who lived here in the 1950s-1970s saw the disastrous effects of poorly regulated logging, which destroyed salmon habitat up and down the coast, having long-term impacts on stocks. Getting rid of salmon farms would not do anything to improve or stop any of the effects from these much larger and higher impact industries. 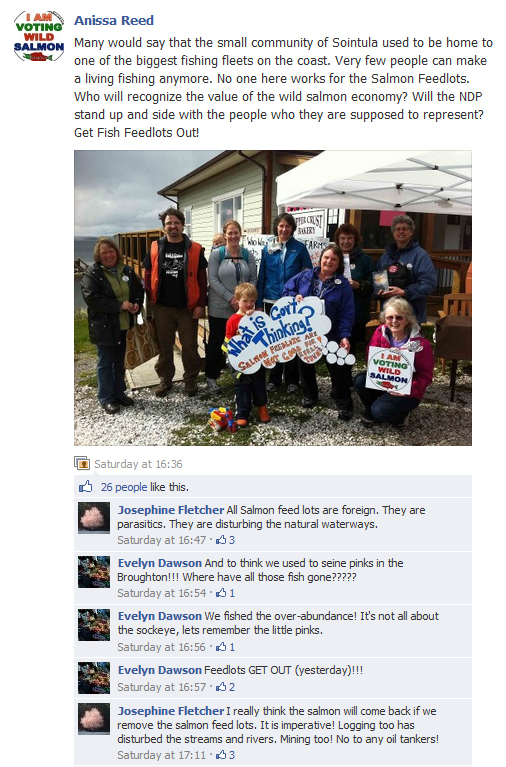 Even when talking about a river that has no fish farms near it but has a myriad of other man-made issues they are still trying to blame salmon farms. 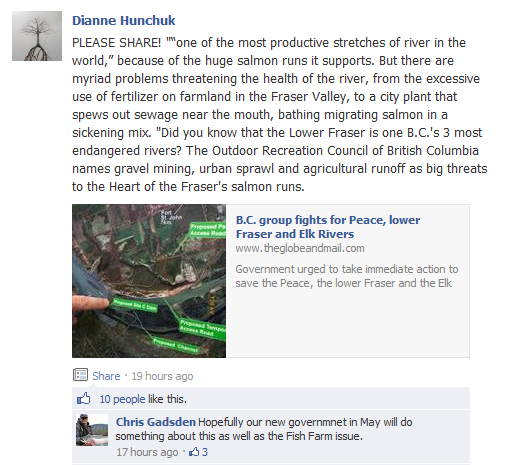 If all this salmon love were put toward cleaning up the Fraser River imagine how happy the salmon would be. A nice clean place to spawn would do wonders for all species of salmon. Bullies Pretending to be Journalists. Bullying – Not just for teenagers.